Specializing in New Orleans style piano, world class pianist Josh Paxton presents an exciting workshop at Hall Piano Company, 901 David Drive in Metairie, on Saturday, November 7th, 3:00-4:00PM. Sponsored by Louisiana’s exclusive Steinway dealer, Hall Piano Company, and the Steinway Society of New Orleans, the concert is free and open to the public but seating is limited. At five Joshua Paxton received a little yellow toy piano that he banged on for years, playing along with TV jingles and music on the radio by ear. At 11 his parents gave into his pleas for piano lessons and bought him his first piano. Though classically trained, by the end of high school he saw his future in jazz. As an undergraduate he attended the University of Miami and Bowling Green University, then went on to study under Ellis Marsalis at the University of New Orleans, earning a master’s degree in Jazz Piano. 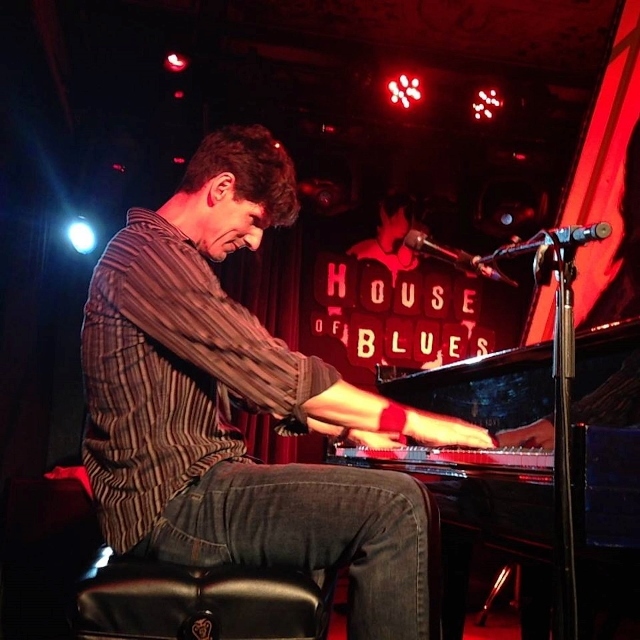 Joshua has been a fixture on the New Orleans music scene for the past ten years, performing as a solo artist, group leader, and sideman with many of the Crescent City’s top names. His diverse musical background ranges from avant-garde jazz to stints with major label rock bands. Currently, he is focusing on his unique approach to New Orleans Rhythm and Blues piano style. Since 1958 Hall Piano Company has served families across Louisiana and south Mississippi. As Louisiana’s exclusive Steinway & Sons dealer, their services include acoustic and digital piano sales, piano rentals, piano lessons, method books and restoration. For additional information about the “Steinway Saturdays” Jazz Piano Series and Josh Paxton, contact Emily McWilliams at emilym(at)hallpiano(dot)com or call 504.733.TUNE.